Dr. Nina M. Versaggi is a Registered Professional Archaeologist, with over 30 years of experience in Northeastern U.S. archaeology and Cultural Resource Management (CRM). She served as President of the New York Archaeological Council (NYAC) for six years (2005-2010), and chairs the Professional Standards Committee, whose members produced the comprehensive professional standards used by reviewers in New York State. Her research centers on the archaeological history and prehistory of the peoples who once lived in present-day New York State, and she works with the Native American descendants of these groups. 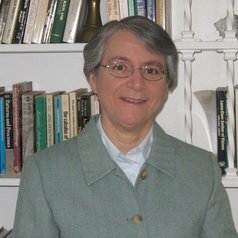 She has authored numerous professional papers and publications on the archaeology of the Northeast, including: Hunter to Farmer: 10,000 Years of Susquehanna Valley Prehistory; Partners in Preservation: The Binghamton University Community Archaeology Program (CAP); and NAGPRA Consultations with the Iroquois Confederacy of Sovereign Nations of New York.